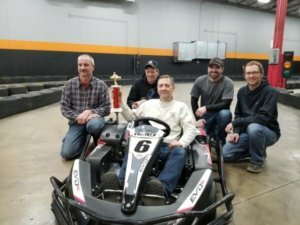 The Alliance of Automotive Service Providers of Minnesota (AASP-MN) held its 17th Annual Race for Automotive Education, January 8, 9 and 10, at ProKart Indoor Racing in Burnsville, MN. 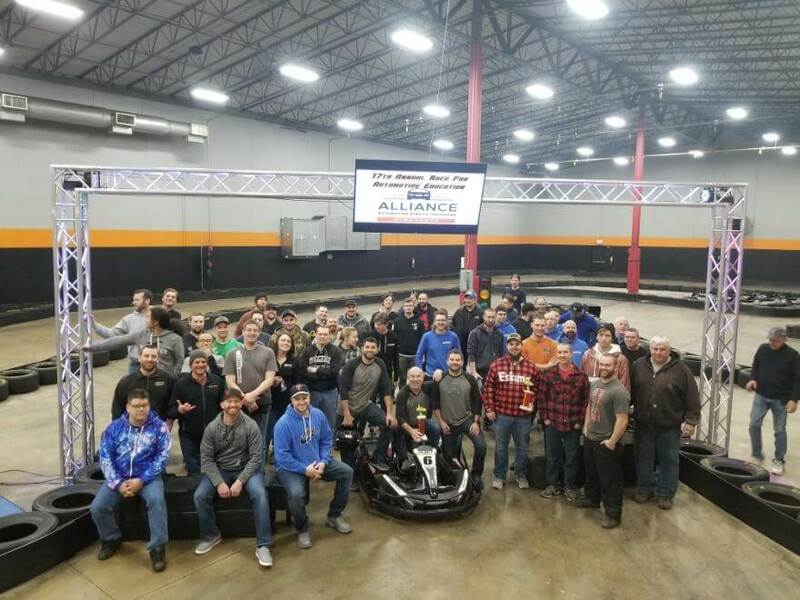 The event raised over $10,000 to support the Alliance’s Automotive Education Fund and will fund scholarships for automotive students enrolled in NATEF-certified auto service and collision repair programs in Minnesota’s technical colleges. During the three-nights, 150 racers took to the track in go-karts reaching speeds of up to 40 miles per hour. Twenty-four teams of auto service and collision repair shops and industry suppliers were joined by six teams of automotive students from Dakota County Technical College, Dunwoody College of Technology, Hennepin Technical College and South Central College. The student teams were sponsored by 1 Collision Network. Many spectator fans were also on hand to cheer on their team. Trophies were awarded to the 1st place and runner-up teams each night. AASP-MN member shops are hungry for employees to staff their businesses. From auto service technicians, auto body technicians and painters to service advisors and collision estimators, there are hundreds of great job opportunities to be found in Minnesota’s automotive service industry. Student scholarships and other program support is just one way that we can raise awareness and recruit people into lucrative auto industry careers. The Automotive Education Fund was established in 2002 to provide financial resources to support automotive students, enhance automotive programs and raise awareness of career opportunities in the automotive service industry. Since its inception, over $233,000 has been invested in student scholarships, Skills USA and automotive education programs throughout the state.